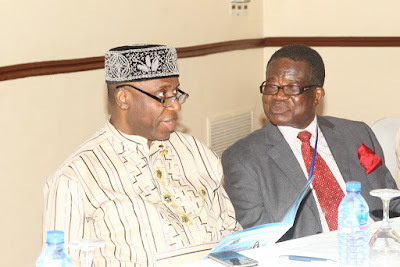 The minister made this known while speaking at a maritime technical summit organised by the Association of Marine Engineers and Surveyors (AMES) in Lagos. He gave assurance that he would not disburse the Cabotage Vessel Financing Fund (CVFF) to acquire the national carrier but it would be driven through a Public Private Partnership(PPP) initiative. He also restated the need for a performance audit of agencies in the sector to ascertain what the challenges are with a view to addressing them with input from experts. “I am determined to ensure that we get a new carrier and I will not disburse Cabotage fund for that. By next week, I will be meeting with some experts and ship owners and make decision on establishing the national carrier. We will also create a group that will move it forward. 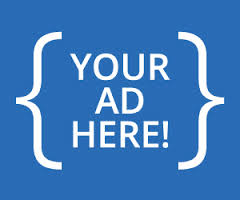 “The performance audit will tell you how to move the industry forward. It makes you know what the problems are and make possible suggestions on how to move forward. “Even when the performance audit is over, I will not make those decisions alone, I will try and meet experts in the industry and we will share these views with them,” he said. 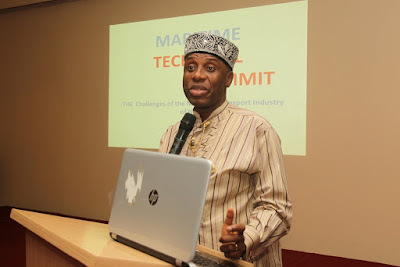 Amaechi also spoke on the need to upgrade the Maritime Academy of Nigeria (MAN) Oron to strengthen its capacity to produce skilled manpower for the sector. According to him, the institution would have been well equipped and developed by now if the fund invested to establish the Maritime University, Okerenkoko had been put into it. Earlier in his address, President of AMES, Charles Uwadia called for a holistic review of the maritime sector human capacity development. He said the failure of the sector is due to lack of in-depth technical input in maritime policies and their implementation in line with international best practice. He added that the decline in standard, quality and profitability of the ships of Nigerian flag is as a result of their poor technical standards occasioned by the owner’s reluctance to comply with national and international standards and regulations. In his presentation, former Alternate Permanent representative to the International Maritime Organization (IMO), Engr. Olu Akinsoji said individuals with specialised knowledge especially in human capacity development are required to ensure policy formulation and implementation to move the sector forward. He said most of the challenges faced in the sector are due to the deficit of human capacity development, which according to him must be looked into before establishing a new national carrier. “There is deficit of human capacity development which must be looked into before establishing a new national carrier. We cannot build a nation if we don’t have the men to do it and in the maritime industry, it is not everybody that can do everything. If you want to do anything that is relevant to the growth of the industry, you need to be specially trained. “The consciousness for specialized knowledge that is required in the industry has dwindled and as such we are faced with mirages of challenges and problems that we have unconsciously infringe on ourselves,” he said.